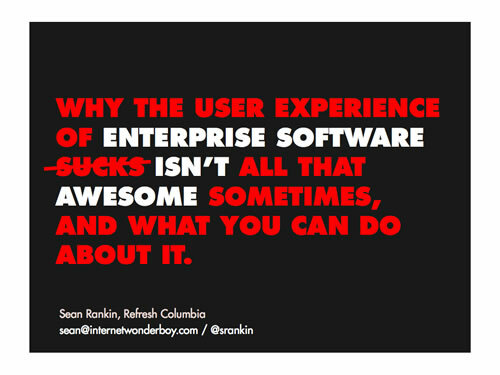 A nice presentation by Sean Rankin delivered at Refresh Columbia around why user experience is not the focus of many enterprise software companies and ways these companies can be persuaded that it’s something to be invested in. Minimal and effective. Nice work, Sean!